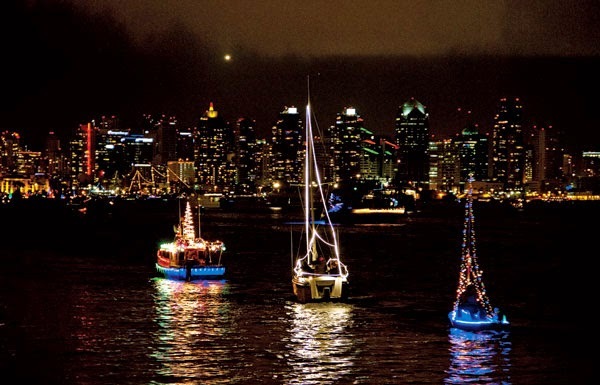 Presented by the San Diego Unified Port District, the San Diego Bay Parade of Lights is a procession of about 80 lavishly decorated boats has become one of the most iconic holiday events of the region. A wide variety of awards are presented to the best dressed boats and those that best capture the event’s theme. All participants receive a participant plaque and are invited to the awards dinner on January 8, 2015, where a wide variety of prizes will be raffled off. This year, the grand prize is a luxury cruise package for two with Star Clippers, whose fleet includes three of the largest full-rigged sailing ships in the world, each with all of the activities and amenities of a private mega-yacht. Everyone who participates in both nights of the parade and passes both sets of judges will be eligible to win the Star Clippers cruise. 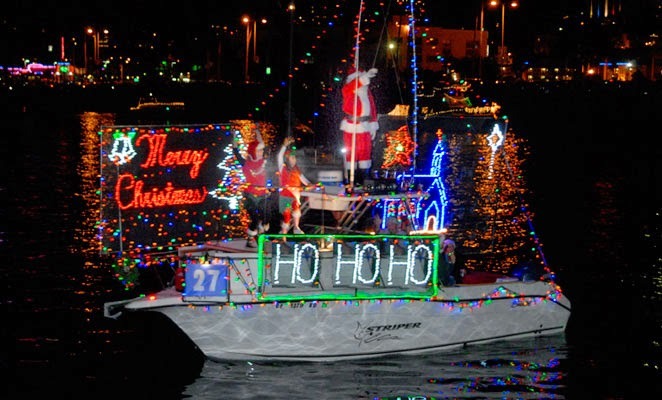 Beginning at 5:30pm each night, the parade slowly navigates west from Shelter Island past Harbor Island, then south along the Embarcadero and Seaport Village before turning back north to pass the Ferry Landing in Coronado. The parade takes about two hours to pass any given point and there are many comfortable waterfront viewpoints along the route. A map of the route is available on the website to make it easy to find your preferred viewing spot. For added insight into the participating boats, viewers can watch the parade from near the announcers’ areas. Like years past, announcers will be located just north of the Maritime Museum on the Embarcadero, but new to this year’s parade, announcers will also be stationed at Coronado Landing. As each boat passes these viewing points, the announcers offer a brief history and description of the participating vessels. This year there will be judges at two points along the parade route, the Martime Museum and the docks at Poehe’s restaurant in Coronado. Participating boats must pass both sets of judges to be eligible for prizes. For more information and parade details, visit sdparadeoflights.org.